I’ve been a big proponent of the River-to-River Greenway Trail in West St. Paul, including a tunnel under Robert Street. I’ve blogged about it, I’ve got the T-shirt, I talk to everybody—seriously, my barber asks about it and just this week I told the bank manager about it while getting something notarized. This week the West St. Paul city council approved an agreement with Dakota County that’s a big step forward for the trail and tunnel. It’s been a long process, and we were in danger of losing $2.2 million in state money if action wasn’t taken by the end of the year. 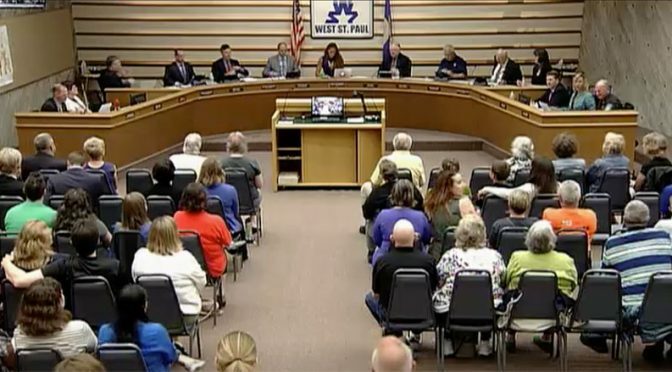 West St. Paul city council meetings continue to be full of drama and public outcry. Last night’s June 11, 2018 meeting (you can watch online) was the third meeting since the infamous April 23 meeting when charges of sexism were levied against four male council members—and it was the third meeting in a row that featured a packed house and multiple citizens addressing the council. 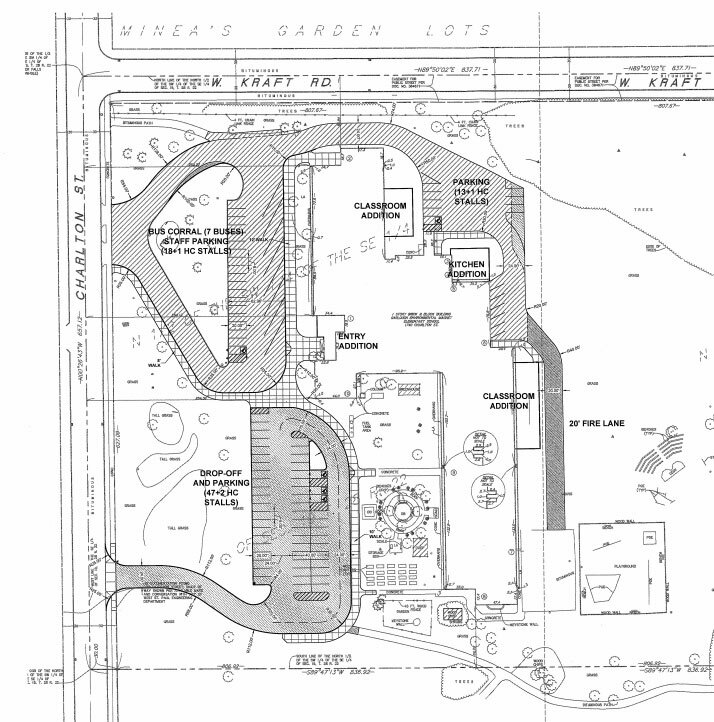 West St. Paul City Council: Sexism in Appointee Debate? 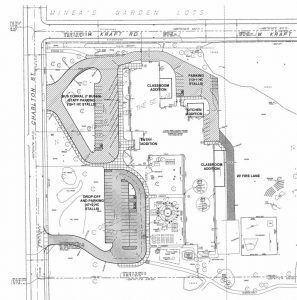 The West St. Paul City Council meeting on April 23, 2018 was a curious descent into misogyny and sexism. It can be a little hard to follow city council meetings if you’re not aware of the entire history and context. Sometimes it seems our elected officials rely on that fact. You can always watch the video yourself (11:51 in the council video), but I’m going to try to clarify some of what happened. Here’s the short version: Mayor Jenny Halverson appointed three people to fill vacancies on the Planning Commission. City council has to approve those appointments. In the past, mayoral appointments have mostly been honored, though that hasn’t been the case for Mayor Halverson. Two of Halverson’s appointments were confirmed, and a third was rejected. Two of the council members who voted ‘no,’ (Ed Iago and John Bellows), argued back in 2015 that mayoral appointments need to be honored. 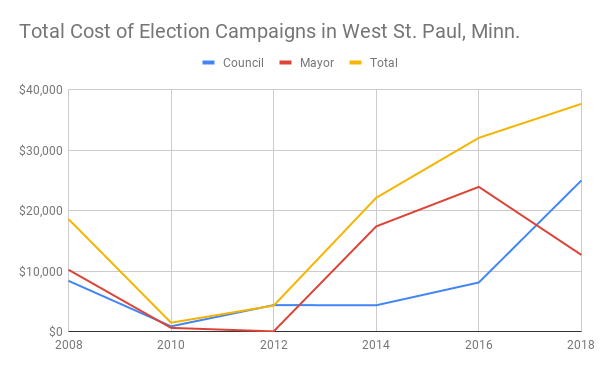 That honor seems to have disappeared in 2018, during the term of West St. Paul’s first ever female mayor, while considering female appointments. 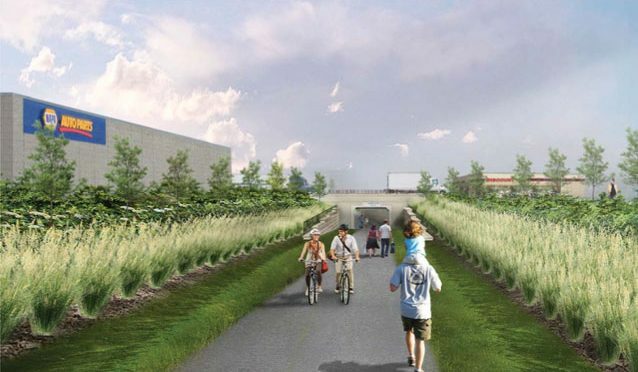 Dakota County has proposed a River-to-River Greenway trail through West St. Paul that includes the Robert Street tunnel. This isn’t a new idea. A separated crossing has been proposed in various incarnations going back to the 2001 Renaissance Plan. The proposals have shifted over the years, the cost has changed dramatically and the funding has gone from $0 to 100%. In all that time plenty of misconceptions have taken root. I spoke at the West St. Paul city council meeting tonight. Not my favorite thing to do. I don’t like public speaking or confrontation. Of course that “fresh start” will require an interim city manager, increased burden on the staff as they wrestle with all the changes, a search for a new city manager that’s likely to cost thousands of dollars, and—oh yeah—the severance package for Matt Fulton that will include an additional six months pay. Why do we need this costly and time-consuming “fresh start”?